It is important that you know where you are heading, whether it is with your life, career or your money, setting goals helps you reach where you want to go. Setting financial goals will give you a purpose in your finances, if you have something to aim for, which is realistic, will help you reach your goals. You will be able to take the steps that you need to realise your goals. As we age or needs change, ensuring that our goals meet our current needs is important. What you set as your financial goals when you are twenty-something will change when you are thirty-something and beyond; keeping your goals up to date will keep you on track to meeting the financial goals, which you set. A process that you must go through, know what you want now and in the future, it is about thinking long-term and short-term. Your long-term financial goals should form around your retirement; what and how you intend to live when you’re retired and unable or unwilling to work. You also need to consider some of the medium term and short-term financial goals, because there’s other expenses that you will need to pay for over the course of your life and being prepared for them is the only way you will be able to plan for these expenses. These goals might seem like a long way off but you should try to make them as realistic as possible; if you want to pay your mortgage off sooner, then it is important that you make plans for this; not paying any extra funds to your mortgage isn’t going to let you reach your goals. If you are looking to reduce the debt that you owe, you must make a debt reduction plan; this is still part of your financial goals and you should evaluate this regularly to make sure that you are able to meet your other long-term financial goals. 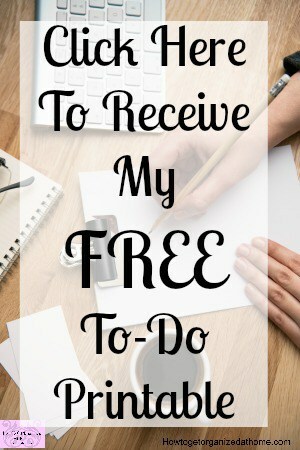 Write out your goals, you should capture what you want for each goal in just one sentence. Then break down your goal, how do you think you will reach your goal, what could you put in place to ensure you will make progress to meet your goal, or be on track each year as planned. There is little point wanting to retire by 40 if you haven’t spent years saving for this event. You have to know how you will support yourself from this point, how you will make money or what money you intend to live off. Working this out and planning will help you reach your goals. It is the same if you are looking to pay off your mortgage early, you need to make extra payments towards your mortgage or save up the money so that you are able to pay off your mortgage within your own time scales. Every month that you create your budget, you must look to see how you are making those financial choices, which will help you to meet your financial goals in plenty of time. However, life seldom heads in the direction we want, there are often twists and turns in the road and you have to prepare for these. Sometimes they can increase the length of time before you met your financial goals, they might need completely changing, but the important thing here to remember is these goals will change and it is possible to change and amend your goals as life happens. It is important that you check these goals at least once a year, or if you have a life-changing event happen, this will ensure that you are still on track to meet your financial goals. 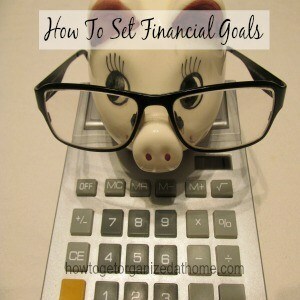 Therefore, it is important that you set yourself financial goals throughout your life, it is possible to amend them to meet your needs as you grow older and your needs change; however, it is vital that you work towards your financial goals and not change them because you never planned how you were going to meet your financial goals. Great tips for setting goals. Thanks for sharing them on Merry Monday. I’ve actually been working on this this week! I have some definite work goals that I haven’t been able to meet lately. Sent a few emails and hopefully now I have more work lined up!